Since this is the first full day with the new forum, below are some short instructions on what is new, and "wher can I find x" -type questions. If you have more questions, please respond to this thread at the bottom. Q1: How do I start a new topic? Q2: How do I reply to a post? To do a simple reply, just scroll to the bottom of the thread (as seen below) and start writing. No need to click anything. ...if you would like to reply with a "Quote".... find the post that you would like to reply to (quote) and click the word "Reply" that appears to the bottom right of that post. Private Messages are now Conversations, you can can find them in your "Inbox" (link top right). To write a message (start a conversation) with someone, you can go to your inbox and click the "Start Conversation" button. Type in the name of the user you would like to contact, and then write your message. Q4: How do I edit my profile? 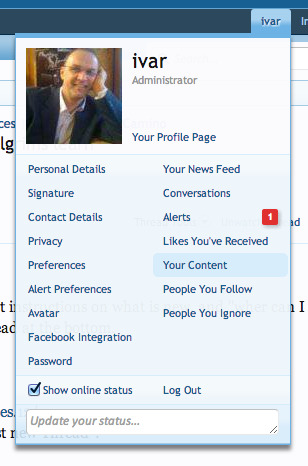 Hover your mouse over your username (top right) and you will see a pop-up with a lot of options for editing anything related to your account. This is a way to give recognition to the posters in the forum that posts useful and helpful information. Before we had something similar based on the number of posts each user had posted. We had "Veteran poster" and so on. Trophies is something similar, and it is set based on the number of posts you have made (as before), but also the number of likes your posts have attracted. Q6: I see these notification(s) at the top, can I remove them? Yes. Each notification has an "X" in the top right corner.. click it when you have received the message and would not like to see it again. More questions? Please post below. Is there a button to press to see all recent posts? 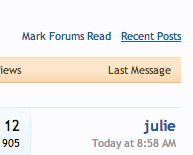 Yes, towards the top there is a link "New Posts"
Will we still be getting the daily email ? Hey! Well done Ivar - hope you get some sleep now, you deserve it!!!! Is there a way to see which posts I have contributed to? 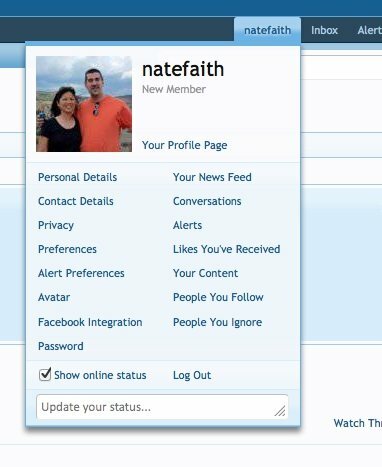 I loved that button on the old forum. Congratulations Ivar! The new forum looks fabulous. It's been a couple of years since I last walked the Camino but the forum always brings back such great memories. Thank you for such hard work, yours is a great contribution to the Camino. 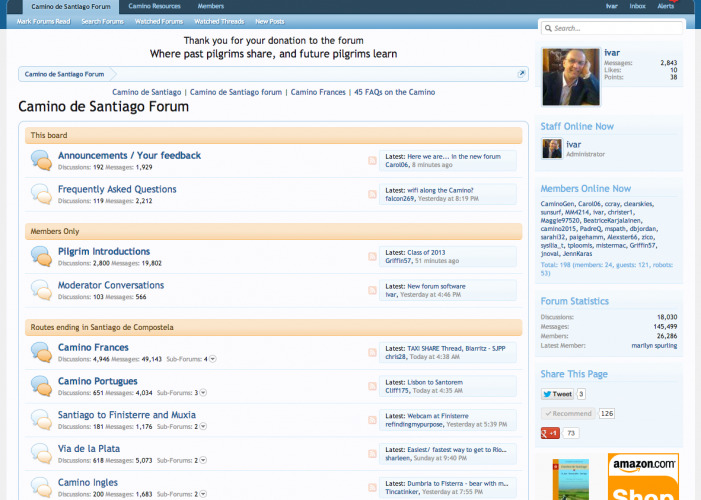 Yes, here under "Your content"
Hi Ivar thanks for all the hard work put into this new forum structure. I was just wondering if this has an effect on my ipad app as it wont open since yesterday?Thanks Maurice. No pressure mate. Just wondering. Thanks for all the effort you and the others have put in. Early days, but I think I like the improvements. Ivar, sorry, how do we edit our signatures? If you don't have time to answer that right now, no worries - I'll keep poking around! Weird, when I hover there it has everything *except* "Signature". I'll log out and log back in and see if it appears. Thanks for your quick response! 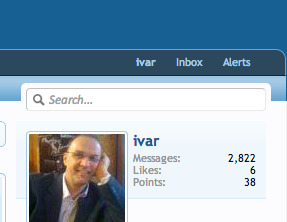 Ivar, thanks for your efforts. I noticed that I cannot connect with Tapatalk on my smart phone. Are you still updating for their API? Simply wanted to add my thanks for your work along with the others who have already done so. Very nice - thank you very much for all your dedication and hard work! I truly appreciate the connection with this community - you make that happen! Hola Ivar. Looking under browsing preferences can I take the tick out of 'use the flash based uploader' and still upload files or is it essential to leave the tick in the box please? Enjoying looking around the updated site. Try it and see if it works for you... I think it depends on your browser and what you have installed on your computer. I don't want to 'mess' with my settings too quickly, one thing at a time to see what happens. What the 'status' entry does? Also if turning some settings to 'followers' rather than 'members' will stop conversations starting, or is it just entries on the profile page? Can entries I don't like be deleted by me, or not? Really appreciating all your hard work. I have one more question. Is the new software able to downsize (resize) uploaded photos automatically or we still have to do that ourselves. Until now I've usually downsized them from 3072x2048 to 500x333 to be viewed fully (without scrolling) in my posts. As mentioned I'm kind of IT idiot and just wondering what to do next time... Because the new layout is much wider and today in one of the threads (new Camino house in Santiago or something like that) I saw much larger photo? Camino Frances; Via Podensis; Via Francigena; Via Portugues; Via Francigena del Sud; Jakobsweg. When I post a reply by pasting text from a Word doc, the formatting often gets messed up (eg no paragraph breaks). In the old website there was a Preview function so I could fix formatting errors before Submitting my reply. Where is the Preview function on the new website? There is also a problem uploading photos. For example, in a recent post I wanted thumbnails to appear at the bottom of my text, but when the reply went live, the thumbnails were right at the top of the reply. I found the Preview function. It's under "More Options"
Fall 2012, again Fall 2014. 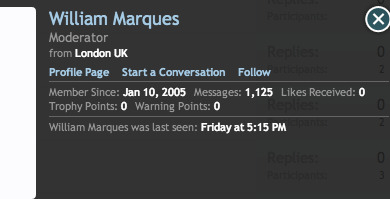 Ivar, thanks but I too was referring to the standard tapatalk application not the forum one. Thanks. I would have to try it, but I think it does... by default, when you attach a photo now, it shows up as a small thumbnail at the bottom of your posts. When you click it, it pops-up and get large. You can choose to also insert as "Full image", by clicking "Full image". It will then insert the image when your cursor is located at that moment.. (this is why the image got inserted at the top for @BobM I think). Did you download the update? Ahh... the Android version should be working now (you need to download the update), the iPhone/iPad version is currently being looked at by Apple (they need to approve it). Once done, the update will be available for download in the Apple App Store. Thumbnails get re-sized automatically, but the full image may not be resized. I will do an experiment with my upload tomorrow. I thought I had the cursor at the bottom of the text to position my pics, but maybe not. I will experiment tomorrow. I'm now testing to post two iPhone pics (I posted it to myself in a smaller format first). As you can see (or is it just me?) the first one gets tilted in the forum. The other one is right. It seems like all (iphone) pics in that format behaves like that. But anyway. I took the second pic and rotated it, then saved it upside down. Then I rotated it back again and saved it. So now it looks ok so far. Ok, now I'm trying to post it. Edit. Ok I think it's just the thumbnail photo which looks tilted. That's funny. No problem... please use this thread to test uploads..
Ok now it's the big test. I'm trying to post an iPhone pic as it is. And it said sorry Susanna it's too big. Of course as its 2,2 mb. Am hoping it will look less pixelated. The thumbnail is tilted though. 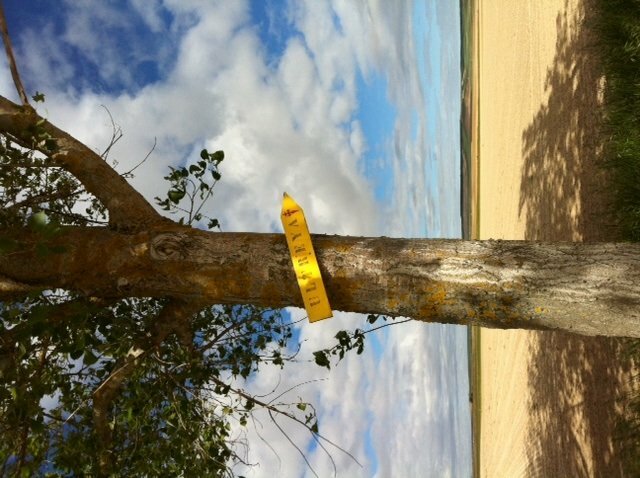 It would be fun to be able to post right-now Iphone pics on the forum while out on the camino. Huh? Where is the pic? Ok I'm trying again. Would be happy if someone can take a look at my pics and say if the are tilted or not. Would be happy if someone can take a look at my pics as say if the are tilted or not. Yes, it is tilted... but I think this is an iPhone problem... by the way, if you edit your posts and click the "Full image" button next to the image, it will get inserted in the post... full size. The file size is 534.7kb so I guess the website is happy with that size and not 2.2mb. Apart from being tilted, the fullsize image displays just fine on my computer screen resolution/size. My guess is that images are not resized automatically, if they are too big they just get rejected. BTW, there is an advantage of resizing in that you use less of your phone data allowance. A big pic eats up 2MB, a 450 x 350 pixel pic eats only 150KB (approx). For web use on forums like this the smaller size is usually good enough. Thank you, ok it's looks normal on my iPad. I've now clicked the "full image" button and its now inserted in the post. It looks great on my iPad but guess the rest of you have a tilted pic on your screen. Tilted. But there is only one pic. You said "pics"
No, that's no the 2,2 mb version. I couldn't post it at all. The pic in the post is a smaller one. Ok in the first message I posted two pics, they appear as thumbnails. One is (probabl)y tilted, the other one ok I hope? Maybe you tilted your iPad?? Sorry, could not resist having my litlte joke. Am hoping someone will say that the last photo is Not tilted and look fantastic. Test upload of 3mb pic. OK, found an answer. The little upload box with browse of the RHS says "1MB max"
So, no auto resizing is done. You have to check that your file size is less than 1mb. Damn. You mean the last photo was tilted too!? Ok dear fellow pilgrims. I'm going to post lots of pics (I hope) from the Salvador route, so you better get used to having your heads tilted while reading my posts. Can we change the number of posts per page? Phew... Am glad to hear that. I had just planned to make another test run with a new "interesting" photo from Spain. Won't be necessary then, thank God. I just did a quick check and found that if the max photosize is 2500 x 1875 pixels it will be just under the 1MB upload limit. That's at maximum quality. Not sure if iPhones allow you to choose quality as well as size. But an image of 2500 x 1875 pixels is probably too big anyway for it to display nicely on a website with text also on the page. Vegetables! Yum! Better than octopus writhing on the plate. With the exception of the things to the left. I'm sure there was 1/2 kg chickpeas and I ate all of them, I promise. iPhone doesn't tell the pixel-size of pics, only mb. I got the photoshop app but it doesn't make the pics smaller. Or does it? So the easiest & quickest way (I think) is to email the photo to yourself, and when sending it the phone ask you what size? You chose either small, medium or big. They all work on the forum except the original size. And pics taken as a rectangular laying down (sorry don't know the right words in English) works at once, but as a rectangular standing up, they will appear tilted. It was fun trying to sort out this. As I read through this thread I started getting worried that you will get a crick in your neck, sitting at the computer leaning on your hand in the same position for so long. Go back to page two and scroll down quickly and you'll see what I mean. Time you took a break! The file size would cause some concern Ivar. We are on limited bandwidth and too many large photo files will cause a problem to us and maybe others if posted within the message. If there isn't a limit (500k max) then thumbnails only and choose to view would work better for us. The 1mg mentioned above is IMO too big. Susanna, your photo is too big now to fit my computer screen! But the photo isn't more than 500 k something? These are still very small pics. My iPhone 4 is perhaps three years old and the pics are fairly small, the new versions take pictures which are much bigger. I'm sure this will be sorted out when the app is working again. Edit: sorry I meant to say k, not mb. Laughing. 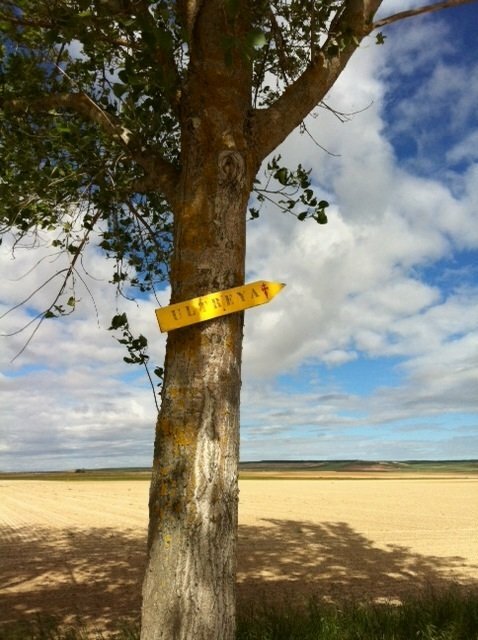 Camino Santiago Forum>This Board>Announcements/Your Feedback is at the top of this page. BobM's picture size looks about right as absolute max and smaller sizes look OK too. This looks like it might need Ivar to do a tweak in the background running. Help please Ivar, I don't really want to lose the images as I am not sure if I could then find how to get them back. William, I have the same problem. The box/link 'Start a Conversation' in your answer is not showing on my screen - and I am logged in. When you go to your profile and click on Privacy do you see on the left three boxes a pink one header "Conversations" and two blue ones "View Conversations"and "Start a New conversation" ? Is the "People who may start conversations with you" ticked on the Privacy page? Or maybe you should ask Father Christmas for an iPad. Ok I started my old mini laptop here which is an Asus Eee pc, and the screen is smaller than the iPad. I had forgotten how slow it was. There the pic (of the tree) fits nicely into the forum page but its too long for the screen so I have to scroll to see all of it. 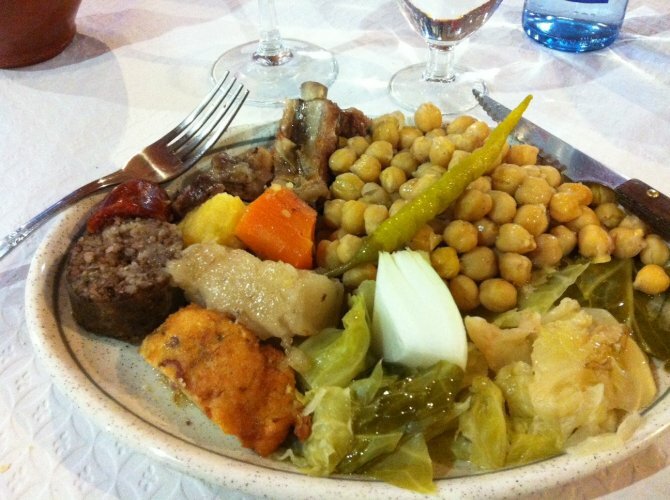 The pic with the chickpeas is ok.
up there to the right.. "Start new Conversation"
Sorry, but it's not there. 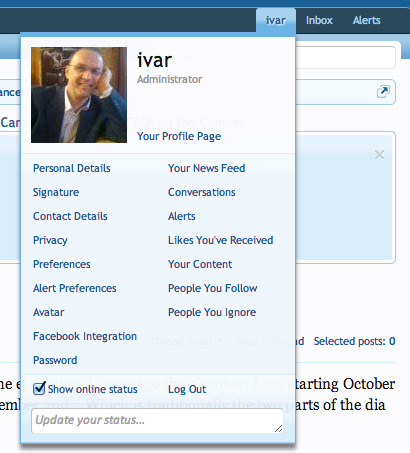 Ivar, that box you show over to the right is not showing when I click inbox. The light blue box (ending with the little arrow pointing upwards) extends across the entire page. have a look again now.. can you see the button now? Thanks Ivar ... for all that you do for us. It is so very much appreciated. Thanks Ivar. I can see the 'start conversation' now. I have had to turn off images as I cannot cope with the huge ones - either pxs or file - kb - size (see earlier post). So far I can still see avatars and I think the thumbnails. Off to check that out. Susanna - My 15"" laptop (old) shows your big photos like you describe for the Asus EEE, I need to scroll. Also each time I reload this page I am using part of my monthly 5Gb bandwidth allowance, which I share with the household!. The threads you have contributed to in a forum will have a little patch with your avatar on top of the original poster's avatar. Is this what you meant? no glasses but can tell by my pic there now, maybe it just didnt work on older posts. Any way i can turn off alerts ? Hi again, I took off the old app and downloaded the new app ok. But I still can't get it to come through in tapatalk. I see the app listed on the tapatalk network list, but when I try to get the camino forum, I get the message "Failed to connect to forum, please check with forum administrator if this problem persists"
Any help from anyone would be much appreciated to get this camino forum app within tapatalk. Otherwise I will just use it in the other app area of my samsung galaxy s iii. It came in beautifully before the update and not being too good at using this new stuff.... left floundering. Thanks. If you press the reply button to the right of the post you are replying to the whole post you are replying to is quoted. You can cut and paste individual parts if you like as long as you put the [ quote .] [/quote.] brackets (ignore the dots which are there so you can see it), which you can insert using the inverted commas '' on the formatting line, around what you are trying to quote. I know, since the app available in the App Store (the one you just re- downloaded) is the same that you already have installed. Once Apple has approved my new and updated version it will be available in the App Sorter (it is not available yet). Once this happen, you will get a notice from them on the phone/ipad that an update is available. Should take another 2-3 days if all goes well (but it depends on Apple, not me).